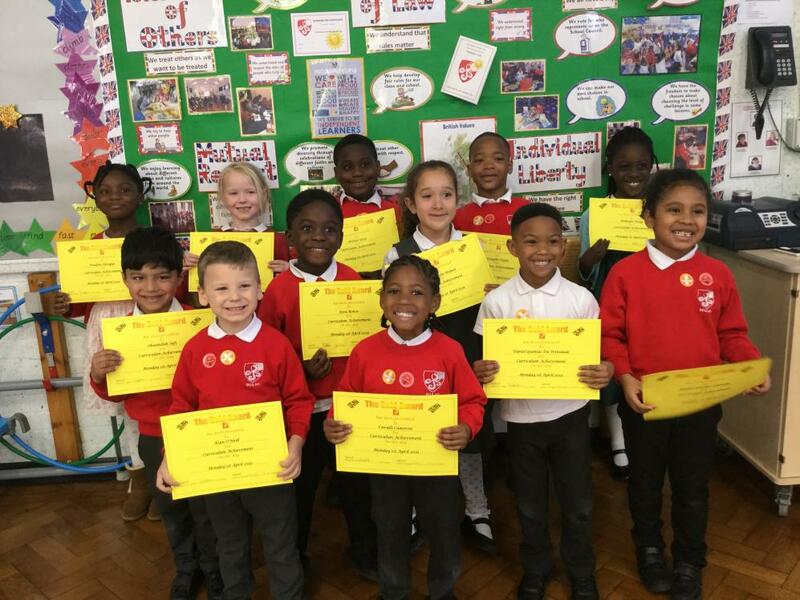 This half term our Gold Awards were given to children in Nursery, Reception, Year 1 and Year 2 for ‘Curriculum Achievement’. All the recipients were really happy to be nominated by their teachers and support staff. 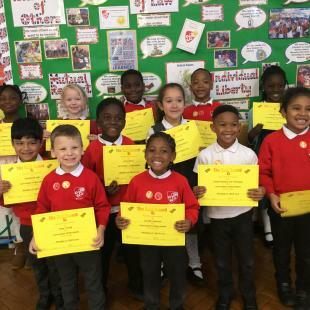 The nominated children were awarded their gold certificates in our special assembly and given a rapturous applause by their friends and teachers. Their photographs and reasons for their nomination will be displayed in school on our Gold Award board, so come and have a look.